Guptkashi is situated 47kms before the holy shrine of Lord Shiva, Kedarnath. It is located on the route to Kedarnath on a ridge on the west side of the Mandakini river valley at an elevation of 1,319mts above sea level. Guptkashi is a religiously important town of Uttarakhand as it houses ancient temples like Vishwanath temple and Ardhnareshwar temple. The centermost attraction of Guptkashi town, Manikarnik Kund is a place where two streams of the Ganga and Yamuna meet. Gaurikund, the town from where trek to Kedarnath commences is situated 34kms ahead of Guptkashi. 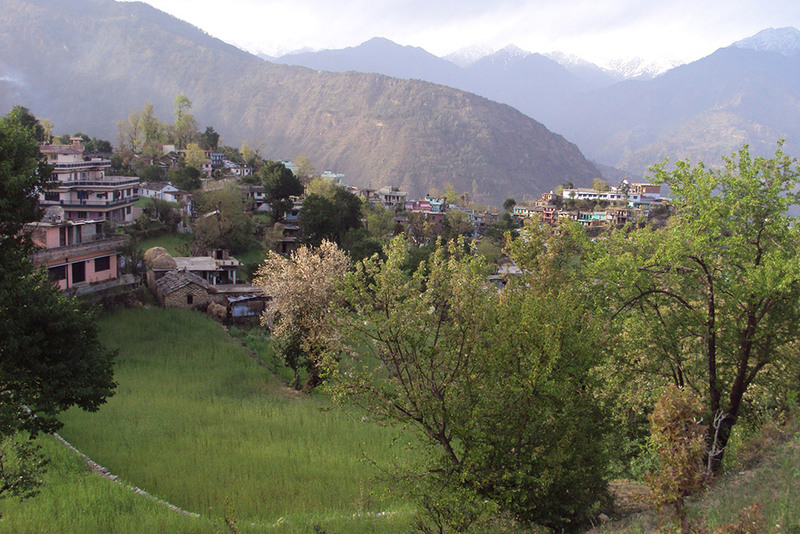 Guptkashi is situated on the mountain facing Ukhimath town. The main temple of Guptkashi is dedicated to Lord Shiva as Vishwanath - "Lord of the Universe". It is built by regional stones and is situated in an enclosed courtyard. The small temple to its left is Ardhanarishvara. Pilgrimage: The holy town of Guptkashi has religious significance for the pilgrims and devotees. There are many temples dedicated to Lord Shiva, the most famous is the Vishwanath Temple along with Ardhnareswar temple. It is situated close to Kedarnath shrine. Shopping: Being one of the largest towns in Rudraprayag district, there are plenty of shops and stores that cater to locals as well as tourists. One can purchase religious artifacts, idols, and paintings, art and craft from various shops in Guptkashi. Pilgrims and devotees travelling to Kedarnath can find accommodation at Guptkashi during the peak season as Sonprayag and Gauri kund could be crowded. There may be few or no ATM or petrol pumps at Sonprayag so it would be wise to get you money at Guptkashi which has plenty of ATMs. Being situated enroute to revered shrine of Kedarnath and being one of the largest town in Rudraprayag district, Guptkashi has various accommodation options peppered all over the town. There are budget guesthouses as well as luxurious hotels where tourists could stay according to his pocket. In addition to that, budget friendly and government owned guesthouses (GMVN) are also present in Guptkashi. Food is not an issue as there are swarms of restaurants and local eating joints in an around Guptkashi. Some high-end hotels may have in-house restaurants or bars that would serve variety of cuisine as per the guest’s requirements. Due to the religious significance of the place, restaurants will not offer non-vegetarian food and alcohol. Guptkashi means 'Hidden Kashi' and the town's mythological history is associated with the epic of Mahabharata. When the Pandavas were searching for a glimpse of Shiva, Shiva first concealed himself in Gupt Kashi but later fled from them further up the valley to Kedarnath. The hereditary pilgrimage priests of Kedarnath temple live in Guptkashi. What is Guptkashi famous for? Guptkashi is famous among tourist as Pilgrimage. Guptkashi is popular destination for following activities/ interests - Business Hub, Char Dham Route, Others, Pilgrimage. Travelling to Guptkashi in 2019? Contact us for planning your Guptkashi tour with best travel packages of as per your requirements!